Over the weekend PaleyFest took place at the Dolby Theatre in Los Angeles, where the Parks and Recreation cast reunited for the first time since the show ended back in 2015. During their panel we learned that Leslie Knope (Amy Poehler) would probably endorse two 2020 presidential candidates in particular — one of whom was actually the Indiana Parks and Rec Official of the Year, which is almost too perfect. I think it’s fair to say Buttigieg has Leslie’s vote in the bag. 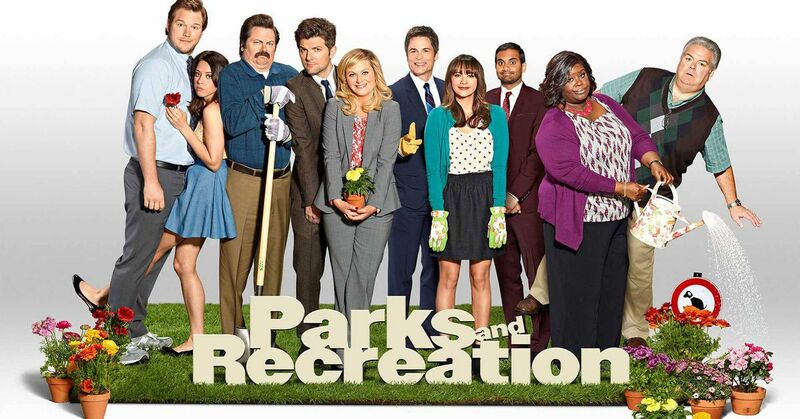 Are we ever going to get more Parks and Rec??? Schur’s answer wasn’t a flatout yes, but it wasn’t not a yes. While addressing the subject he said, “we’d only do it if there was something compelling. If anyone onstage said no, we wouldn’t do it.” It’s not the most solid answer, but the show’s stars all seem to be on board and have at least given a little bit of thought as to where their characters would be if (fingers crossed) the show gets the revival we all desperately want. April and Andy would “probably have 10 children” which honestly should be enough reason in itself to bring Parks back. I gotta see what that insane household looks like. I don’t want to jump the gun here but with Amy Poehler, Michael Schur, and the majority of the cast all in favor of a revival, it’s kind of hard not to. It’s really looking like the hardworking government employees of Pawnee, Indiana will be gracing our televisions again in the future.